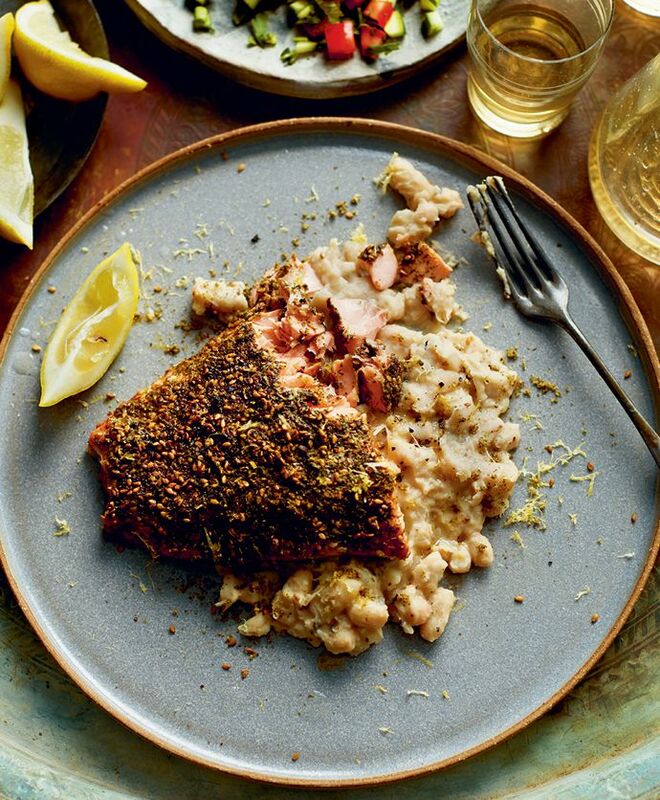 A salmon dinner has never been so easy. Preheat oven to 400. Place the salmon fillets on a baking sheet, skin side down. Drizzle evenly with the cooking oil and season with ½ tsp salt and a generous grind of pepper. Spoon the za’atar over the fillets, coating as much of the surface of the salmon as you can. Pop the fish into the oven and bake until fillets are just cooked through, 11 to 13 minutes. Fry garlic and lemon zest in the butter for a few minutes over low heat. Add the beans, 2 tbsp water, ½ tsp salt, and ¼ tsp pepper. Heat the beans through and then, using a fork or potato masher, roughly mash them. If the mixture looks a bit dry, add a splash more water. When the fish is ready, transfer each piece to a warm plate with half the mashed beans and add lemon wedges. Serves 2. When you simply can’t get your hands on Middle Eastern za’atar, try this near approximation. Mix the ingredients together, then store in an airtight container for up to two weeks.